Amanda Clement was born on March 20, 1888, in Hudson, Dakota Territory, a year before South Dakota became a state. Growing up with her brother Allen (better known as Hank) gave Clement the chance to play sports and learn the rules. Her mother, Harriett, raised the two alone after Amanda’s father died when she was a little girl. The family lived near the local ballpark and so Amanda and her brother spent a great deal of time there. Accompanying her brother to his games, Amanda often found herself umpiring the sandlot games, since girls did not play baseball with any regularity. However, when the boys asked her to fill in, she occasionally played a little first base, which helped her learn the game. One day, after Amanda traveled with her mother to Harden, Iowa, to watch Hank’s Renville team play a semipro game against Hawarden, history was made. The umpire did not show up for the preliminary game and her brother volunteered his sister. And when the umpire did not arrive for the scheduled contest, the teams accepted her after having seen her umpire. And so in 1904 Amanda Clement became the first woman paid to umpire a game. The teams actually had to persuade her mother to let her umpire since this was not something young ladies did. Clement put any doubts to rest immediately and began a successful career as an umpire for six years, traveling across the upper Midwest, umpiring about 50 games a summer. Earning between $15 and $25 a game, Clement earned enough money each summer to put herself through college. Baseball was hugely popular at the time; there was little else to draw away people’s attention. Every small town had a ballclub and games were a constant with town pride at stake. Umpires were in demand and Clement benefited from that need. At this time umpires generally worked alone, calling balls and strikes from behind the pitching mound. This gave the umpire a better view of all the action on the bases as well. For Clement this also meant she was not as close to the fans as she would have been behind the plate. Clement’s reputation grew with each game she umpired. She was in such demand during the summers that she often had to make choices about which games she would umpire. Many communities invited her back after seeing her work. As one reporter said, “But see her once, mask on, behind the catcher and hear her call the balls and strikes, and at once you reach the conclusion that a young woman of skill, judgment and determination is performing with marked ability.”5 Clement did miss a few weeks in the summer of 1910 after she injured her left knee while playing catch. She had to wear a plaster cast and then walked with a cane for a few weeks. Clement, who never married, moved home in 1929 to take care of her ill mother. She then moved to Sioux Falls in 1934 after her mother died and she worked as a social worker for 25 years, overseeing both the city and county welfare divisions, until her retirement in 1966. Until her death in Sioux Falls on July 20, 1971, she remained an ardent fan of the game that got her started in life, rooting for the Minnesota Twins. This biography is included in "The SABR Book of Umpires and Umpiring" (SABR, 2017), edited by Larry Gerlach and Bill Nowlin. 1 “One Who Made a Big Success Tells of the Work,” Pittsburgh Press, September 17, 1906. 2 Amanda Clement Hall of Fame File, National Baseball Hall of Fame, Cooperstown, New York. See also Sharon L. Roan, “No One Yelled “Kill The Ump” When Amanda Clement Was a Man in Blue, Sports Illustrated, April 5, 1982, and Colin Kapitan, “Nobody Yelled ‘Kill the Umpire!’” South Dakota Magazine, July 1985. 3 “Woman as Umpire,” Meriden Daily Journal, June 20, 1906. 4 “Players All in Love With Girl Umpire,” Reading Eagle, August 26, 1906. 5 “Girl Baseball Ump,” Reading Eagle, June 29, 1906. 6 Clement Scrapbook, National Baseball Hall of Fame, Cooperstown, New York. 7 Hall of Fame file. 8 Pittsburgh Press, September 17, 1906. 10 “A Girl Umpire,” Sporting Life (Vol. 46, No. 4), October 7, 1905: 8. 11 Pittsburgh Press, September 17, 1906. 12 Pittsburgh Press, January 22, 1906. 13 Sioux City Journal, n.d., Hall of Fame file. 15 “Would Wed Ump,” Sporting Life, Vol. 47, No. 20, 1906. 16 Will Talsey, “The Umpire Was a Lady,” Baseball Magazine, October 1952: 31. 17 Clement Scrapbook, National Baseball Hall of Fame, Cooperstown, New York. 18 “South Dakota Woman Is Jack of All Trades,” Ludington (Michigan) Daily News, April 7, 1929; “150 Feet to the Bad,” The Gazette Times, June 10, 1913. 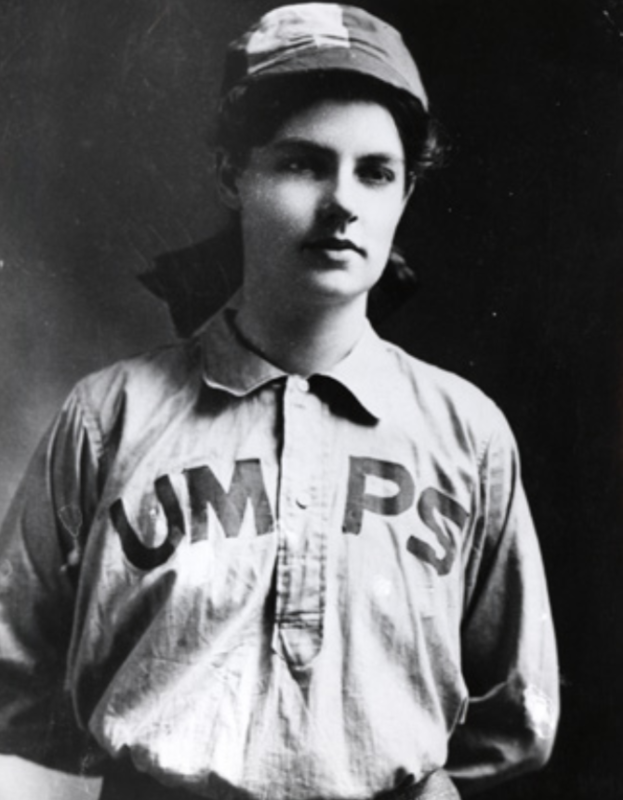 19 “Sioux Falls Woman Recognized in Yankton as Baseball’s First Female Umpire,” Associated Press, July 21, 2014. 20 Amanda Clement File, National Baseball Hall of Fame, Cooperstown, New York.